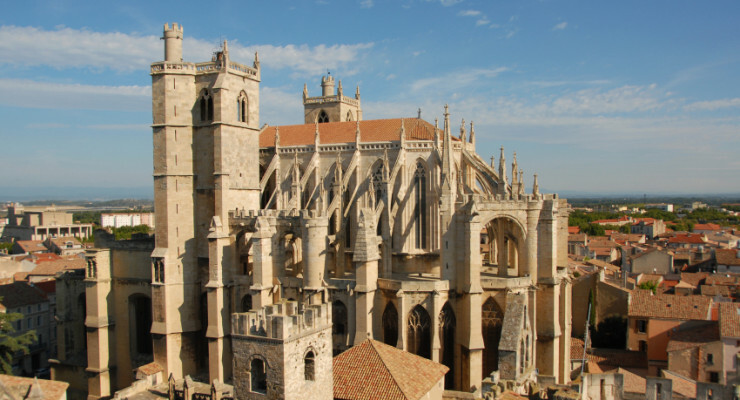 Narbonne is the largest commune in Languedoc-Roussillon with a population of 52000. It is a lively city with restaurants and markets, surrounded by beatuiful medieval buildings. gets pretty wild on Sundays, and is also highly recommended. Great city to visit for lunch, shopping, sightseeing, or dinner after a day on lovely Narbonne beach.